The BoBunny Blog: CHA Sneaks Mistletoe! Ok, get ready to deck the halls because it's Christmas in July! This cute collection almost makes me wish it was Christmas time...almost. Comment for a chance to WIN!! Winners announced MONDAY! Very cute collection! I really like the patterns on the papers and all the embellies. Oh My cuteness... i so know what my xmas cards will be made with. great collection! 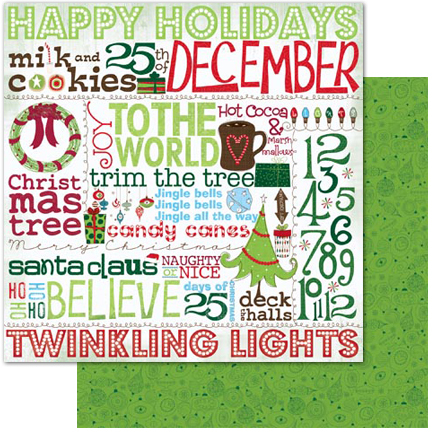 love the embellishments and the card kit. 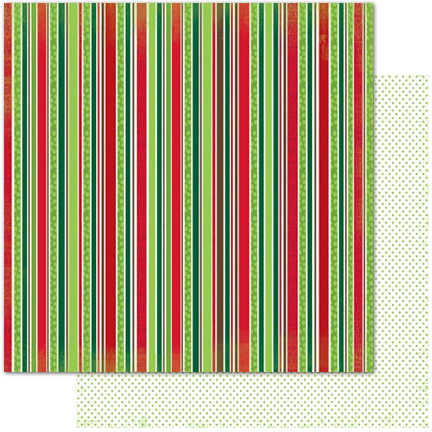 Hooray for bright red and green colors!! Love it! What an adorable line! Love the bright colors and patterns. 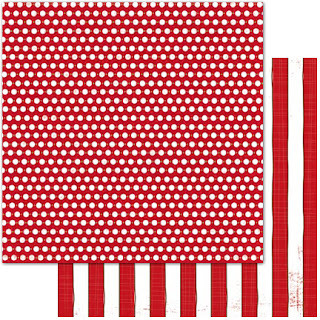 And a card kit...perfect for those of us who love to make cards. Awesome! These patterns are so fun!! LOVE this Christmas collection! So many great patterns! Love how green the green is and how red the red is. Thanks for the chance to win! Such a fun Christmas collection! Thanks for the chance to win! What a super cute and super fun Christmas line. My fav definitely might be the holiday lightbulb clear stamps. Super cute!! I've got so many x-mas pictures left! !would be perfect! Love it ! The stamps are a " Must have " !! You did not disappoint with this release!!! It is SO whimsical! I also love the light string stamps...however, I am particularly fond of the brads. That Santa brad is TOO cute!!! Can't wait for this one. Love the blues you mixed in with the reds and greens! Made me feel cooler just looking at this fun collection! I love this Christmas collection. I have project ideas going through my head. I love it! Oooh.... LOVE it. Such bright vibrant colors!! Ah my gosh, this is so cute...I love the names of the reindeer on that sheet of paper! So cute, bright, and FUN!! How fun is that? It's so cute! I absolutely adore the shape of the trees! I also love the paper with the reindeer names. So original! Another winnIng line! I always love the BoBunny Christams lines and this year is no exception. Thanks for the chance to win. Such a cute collection - love the bright colours and design - it reminds me of Dr. Seuss! so cute!!! I love the numbered paper!! May your Christmas be Merry and Bright!! Absolutely with this collection!! So perfectly cute and whimsical!! Great collection!! Another great collection! can't say enough thanks for BLUE!! blue papers, blue chipboards, blue beads - finally! it's winter, right? there has to be blue! and what a great lightbulb stamp! Many possibilities for fussy cutting, and there are always Last Year's Christmas photos, right? Oooooh, , such a beautiful Christmas collections!!! Love love love it! My SIL will be in LOVE with this line! Love it!!! Especially the first page with the reindeer names!! Love the collection! And as hot as it is, I am looking forward to winter! Adorable collection, I love the vintage look of this collection. It would be so fun to create with. The spots and checks are my favorite. Very cute. I love this line.. so fun and festive! I love love love it. Can't wait to see it in person. Oh my love every single item, specially the paper, brads and the stamps ohhh those stamps are fabulous. soo cute and love doing pages with bo bunny paper. thanks for the give away. LOVE this....so amazingly CUTE! Love the cheerful colors and feel! Such a nice collection...loving the stamps and the tiny letter stickers! Thanks so much for the chance to win! love the collection very pretty. Adorable collection!!! I can't wait to see it all in person!!!! YUMMY!!!! LOVE the traditional red and green colors and the cute happy feel to this collection! Fabulous collection, and oh so many pieces. Love it! I've loved all of the releases but this one is an absolute must to add to my collection!!!! Thanks for the chance to win! I really like this one, and the card kit is too cute! LOVE this new line! I can see so many Christmas and non-holiday layouts and cards from it - thanks for the chance to win. oh! ..I can smell Christmas is in the air...such a fun festive collection..gorgeous!! And Christmas will be here before you know it. Love this line especially the stamps.....so versatile. Adorable! I love the little clock charm. Will we be seeing this line at Scrapfest? Love it!!! Such a cute holiday line. 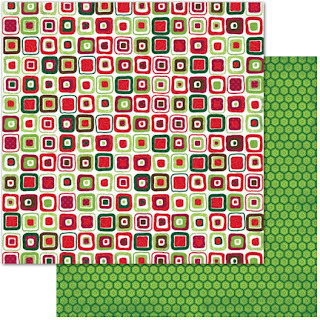 Love the bright reds and greens in this line! This is adorable! Love my BoBunny!!! Love it !!! You always win me over! The last thing I need is more Christmas paper, but I want it. So cute! Love the whimsical feel! Great collecction! Love this collection! The Card Kit is just the cutest! Thanks 4 the chance! My 'adorable' radar is going crazy!!! This collection is definitely a must-have for this coming Christmas! This is so Jolly and full of current trends! Just perfect. Thank you! Love it!!! The stamps are way too cute. Thanks for the chance to win. Adore it all! Especially the rubber stamps and Brads. Loving christmas in July. Oh my... I almost want it to be Christmas already! What nice little cards I could make with this collection! Gorgeous! So festive!! I fall in love with your Christmas collection every year!! I think this line is very festive! I love that there is a combination of smaller traditional prints and bolder prints. I also love the stamps. However, unlike some of the previous posters I CAN wait for Christmas, I want to enjoy all the previous seasons too! thanks! Love it!! 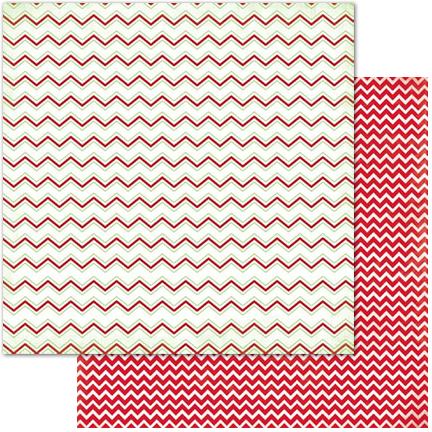 Especially the chevron striped paper and the tiny alphas!! Well, I love all of it! Oh this one is so whimsical, I love it! Very cute collection and great colors. This is such a cute collection! roll on xmas! I am loving this fun crimbo collection, soo cute! Awesome Awesome Awesome! Love the playfulness of this line!!! Super super cute collection!! Love it. I love the different buttons too! This such a cute collection - can't wait to get my hands on these amazing papers! Bo Bunny always has the most fun christmas collections. 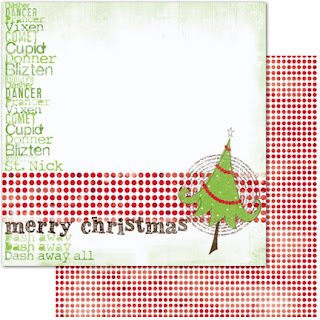 Love Mistletoe, especially the stamps, dimensional stickers and noteworthy. What a fun holiday collection! Another winner of a collection! Fun, happy and can't wait to get the stamp!!! Oh how festive! Thanks for the peek. A fun and whimsical collection. Love the colors and patterns! Love, love this new line...it's sooooo awesome! I like vivid colors of this line. I just love all of the embellishments. Thanks for the chance to win!! I have 2 years of Christmas pics to catch up on, love to use this line, beautiful! Such a cute collection for Christmas layouts, cards, calendars and so much more. Gotta have it all! I love ALL of it!!!! So festive and fun!!! Thanks for the giveaway opportunity!!! Another beautiful colletion. Got to have it! What a super fun and cheery collection! 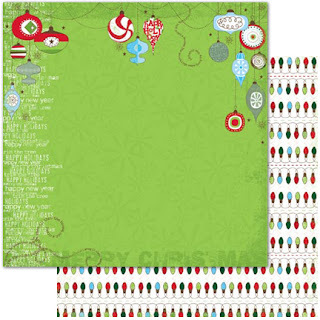 Love this fun, new collection...it reminds me of How the Grinch Stole Christmas (my favorite holiday movie!!). Impressive...I love the fun of Christmas and this is perfect for those scrapbook pages. Oh WOW! You just never stop being amazing!!! holy cow! the new line is amazing!!! Love the whimsical feeling and great bright green colors! Thanks for the great new stuff and the chance to win! Very cute, whimsical collection! Love the fresh color palette, too! Adorable collection, I love the vintage look of this collection!!! Such a cute collection! I love the papers and the stamps are super cute too! Very cute Christmas collection! I would have so Much fun with this. To die for! As usual your collection is beautiful and inspired. Loved the petals and notes and stamps... And of course the papers! The embellishments in this collection are especially cute! EEEEEEKKKKKK!!! I love love love it!! I already have planned in my head what I want to do with the number paper!!!! LOVE IT ALL!!! Love, love, LOVE IT ALL!!!! Whimsey! Christmas Whimsey! Love it! I can see my December Daily already! That paper with the numbers! Oh my, oh my, oh days of childhood when the Grinch was new! I love Bo Bunny, I Love Christmas. I'd love to win this collection!!!! What a adorable collection! I really love it! Would be wonderful for the grandkids Holiday pages this year! Such a cute collection. Would love to have it in my collection. I just love Bo Bunny. Thanks for the chance to win. I love this line...so classic Bo Bunny, fresh and colorful...going to be fun making great projects with this line! So very cute and whimsical! 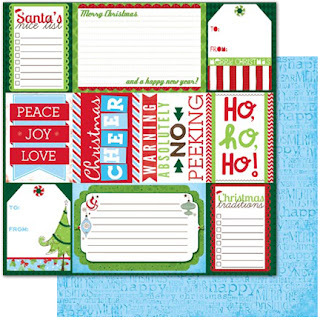 A must have for my Christmas layouts and cards this year! Yikes! Christmas in July! I love it all! Well Shoot! All these wonderful papers coming out and I want. Guess I can pay bills the month after, I'd rather have Bo Bunny Papers anyday. Love all the new collections, especially this one. wow i love it, it's so different than any other collections i have seen lately. It will be so much fun to create a page or two with these papers. I can start christmas cards early now! Love the Mistletoe line, especially the stamps. This collection has everything but the kitchen sink in it. I love it all! I even felt a little shiver on this 105 degree day. Brrrrr! Such yummy stuff! 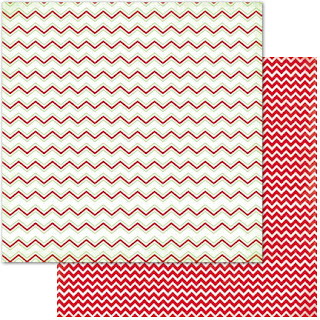 Love the chevron patterns!! This is my absolutely favorite line! I love it!! 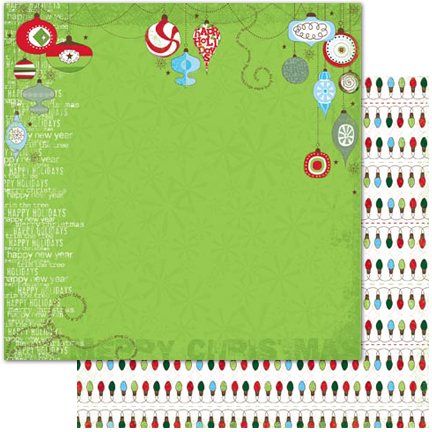 I especially love the Christmas lights paper AND the stamp! So fun! I love the entire collection!! What a fun set! Makes me want to start on my Christmas cards now. 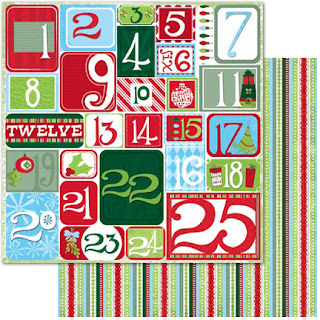 And my new 25 Days of Christmas journal! Love it! Beautiful! Beautiful! I love everything from this collection! I'm absolutely in LOVE with this Christmas collection!!! This collection is just so cool. I love everything about it!!! What a cute collection. Love the buttons and the stamps! You know I am a HUGE fan of BoBunny, but this collection doesn't do much for me. It looks like all of the other Christmas stuff that is already out there! I wish that someone would come out with something new & exciting for Christmas. Sorry, I have to be honest. I have to agree, it's a very cute collection! Beautiful happy colors! I love it!!! Soooo cute I love it all my fave is the multicolor chevron paper and the stamps eeeekkk I want it all BoBunny rocks!! lovely collections! I wanna get them ALL! I love this collection!! The colors are wonderful! I wish!!! I wish!!!! I wish you a Merry Christmas !!! OMG!!! I love love love it!! It's my favorite out of all the releases I have seen so far!! i want i want i want! what a great and fresh Christmas stack! I love the bright, fun colors! So cheerful and fun! I love the ornament stamp! Wow, I love the whole collection. I am thinking about all I could scrap and cards to make!!! 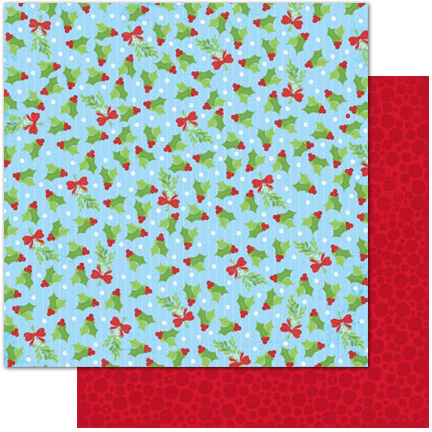 Love this Christmas paper collection and all the fun embellishments ! Oh wow this is fabulous!! I love the bright traditional colors with BoBunny Flair!! Perfect!! It's hard to think of Christmas when we are sweltering in 40 F (I live in a cold part of Canada) but the collection is lovely. Not too cutesy but still a bit of whimsy! This collection is for sure on my wishlist! love love love!!!!!!!!!!!!!!!! Great collection! I love the fun colors & patterns! Very nice collection! patterns are fantastic! Stamp is too cute! LOVE!! These are my favorite Christmas colors...traditional red and green! A must have! So cute!! I'm such a sucker for Christmas lines. And the mini album is very cute...might have to take the plunge into doing mini albums this year!! Yep I think this will be the collection I make my December Daily album with!!! LOVE it and really love the number paper!! Thanks for the peek!! Ho! Ho! Ho! What a jolly collection! Luv all the collection! I love christmas! and also Paper, the two together is the best!!! LOVE this collection! The colors and patterns are awesome! Love that stamp set too, looks like fun! Love this collection. Love the traditional Christmas colors. This is the perfect time to make Christmas cards for Operation Write Home! Oh I just love this collection. 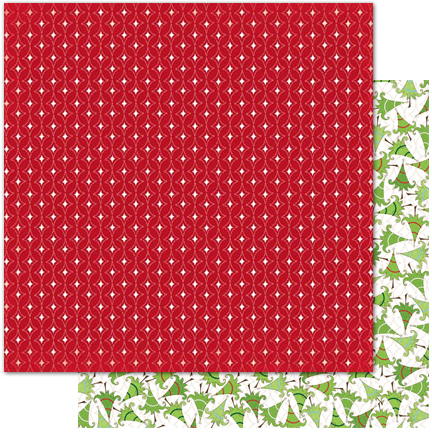 It is perfect for layouts of the kids on Christmas morning. Thanks for the giveaway! I just love this line and the playful colors. I just love this collection. It has such playful colors. OK, this is so much fun! Love it and can't wait to be able to play with this one! I love how this collection is funky and whimsical with a touch of tradition. Oh how I would relish the chance to win some of this beautiful Bo Bunny goodness for my stash!!! Oh my, this is one collection that I need to have. It is so much fun but elegant the same time. With 100 + temps I wish looking @ this could cool ya down. Won't be long though til Christmas. Time flies. I absolutely ADORE this collection! So fun and whimsical!